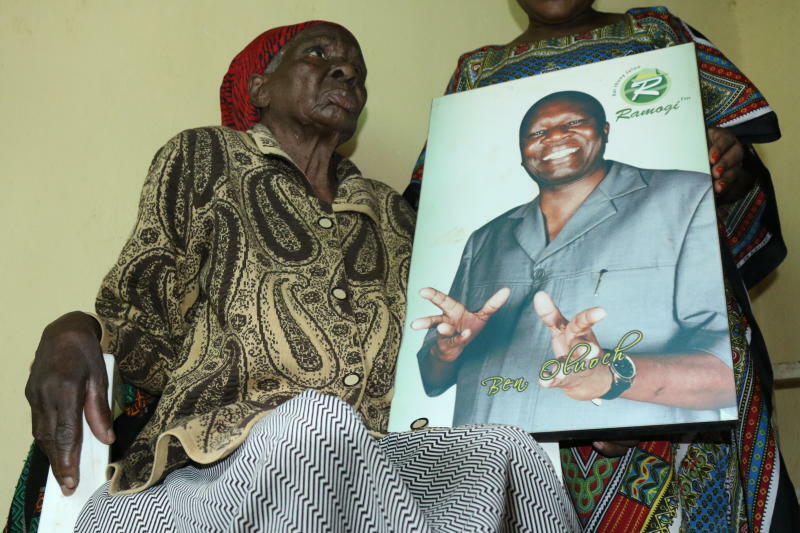 The mother to the late Migori Senator, Ben Oluoch has passed away. His mother, Teodora Ayieko passed away after being admitted shortly on Thursday evening. Teodora died at the age of over 90 years after having been ill for some time. She had been admitted at St Joseph Omboo Hospital in Migori yesterday. ODM party sent out a message of condolences to the family on Friday morning. Our heartfelt condolences to the family of the Late Senator of Migori County Ben Oluoch Okelo following the death of his mother Teodora Ayieko who died last night at St. Joseph Omboo Hospital in Migori. May God give the family strength to overcome grief during this trying moment. Her death comes shortly after that f her son, the late Migori Senator Ben Oluoch Okello, who died in Nairobi while undergoing treatment at M.P Shah Hospital, on June 19. Boo, as he was popularly known, succumbed after a long battle with throat cancer. “May God give the family strength to overcome grief during this trying moment.” ODM party shared on their Twitter earl morning.